Strong juniper and citrus pretty dry. A very classic, standard gin and tonic. Almost dictionary definition. A strong, powerful Martini; clean and pure. There were strong flavours of juniper and citrus and a touch of spicy sweetness at end. Regarding a garnish, I would recommend a lemon twist. All in all, this was an excellent Martini. This had good, strong juniper and citrus notes alongside a natural sweetness before a full, bitter finish. A very good example of a Negroni. Very good; a little heartier than most Alexanders and the gin stands up well against the other ingredients, giving the drink a good juniper-citrus dryness; the good thing about this is that it means that the drink is less sickly than usual. Juniper, coriander and angelica are quite prominent. Meanwhile, the sugar works well with the hint of sweet liquorice from the gin. This was a well-rounded drink and a good way to appreciate the spirit. The gin works well with the slightly acidic berries of the shrub; the latter go well with the dryness of the gin. The soda gives the drink a little zing and pep and the sugar rounds things off nicely, stopping the drink from becoming too tart. In short, although this is a variation on the Collins, and just as refreshing. In a fruit cup, the Zuidam Dry was clean, but added some well-defined juniper and citrus elements, producing a very refreshing drink that is also full of flavour. Given that some other gin fruit cups can be slightly lacking in this area, it was great to see how well this one worked. In my experience, sometimes a gin can get a bit lost in a French 75, this is not a problem for Zuidam; its classic character is well-felt, but not overpowering. Invigorating and effervescent, it’s a great drink and I can see why Clayton Hartley enjoys them so much. In addition to their Dry Gin, Zuidam also make a variety of Genever in different styles: jonge, oude and Korenwijn (corn wine). I had a little bottle of the Zuidam 5 Year Old Zeer Oude Genever and decided to include some tasting notes on this as a bonus. The nose is distinctly woody, with notes of vanilla and oak in particular and a hint of pine. To taste, it was warming, with the same vanilla and oakiness from the nose followed by a hint of juniper at the end. Generally, it was malty and reminiscent of a rye whisky. Complexity developed whilst it was in the glass, with hints of caramel and toffee growing over time. Smooth, this was a pleasure to drink. 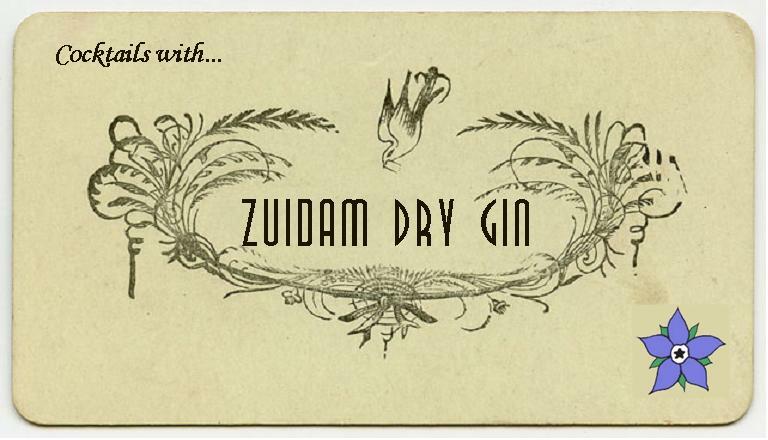 This entry was posted in Product Reviews and tagged Zuidam, Zuidam Dry Gin by DTS. Bookmark the permalink.